One week after Israel demonstratively released a video of a 2007 airstrike on a suspected Syrian nuclear facility (after refusing to officially acknowledge the operation for more than a decade), the Kuwaiti newspaper Al-Jarida reported late on Thursday that 2 Israeli F-35 stealth fighters had entered Iranian airspace over the past month. Sources quoted in Al-Jarida said that two stealth fighters flew over Syrian and Iraqi airspace to reach Iran, and even targeted locations in the Iranian cities Bandar Abbas, Esfahan and Shiraz. Then the two ultra advanced fighter jets circled at high altitude above Persian Gulf - read Iranian - sites suspected of being associated with the Iranian nuclear program. and US Air Force 3rd AF Commander Lt. Gen. Richard Clark. 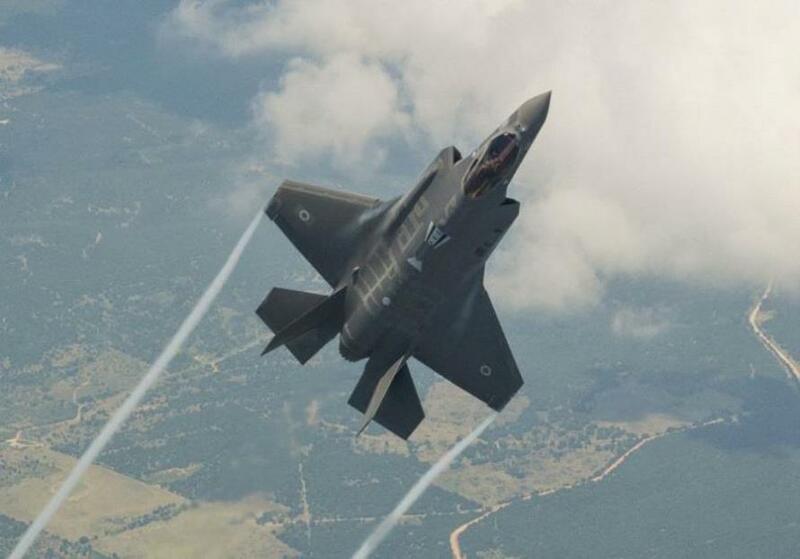 The Kuwaiti report added that the seven F-35 fighters in active service in the Israel Air Force have conducted a number of missions in Syria and on the Lebanese-Syrian border, and highlighted that the fighter jets can travel from Israel to Iran twice without refueling. As the J-Post puts it, "the act is a signal of heightened regional tensions, especially in light of recent Israeli military attacks in Syria, including against Iranian bases in the country." Of course, Israel has had no qualms about admitting it launched about 100 air strikes on Syria over the past five years, targeting Hezbollah terrorists, weapons convoys and infrastructure, and it is believed to be behind dozens more. Things turned ugly in February when an Israel attempt to provoke Syria and Iran backfired: one month ago, Israeli F-16 fighter jets entered Syrian airspace, striking 12 Iranian targets in Syria in response to an Iranian drone that was shot down over Israel. Two Israeli crew members were wounded when they ejected from their jet before it crashed, which, according to Israel, was determined to be caused by pilot error. In response to the Iranian drone, a senior Israeli official quoted by the JPost warned that Israel will react with force to Iran's efforts to entrench itself further in Syria: "the Iranians are determined to continue to establish themselves in Syria, and the next incident is only a matter of time,” he said, warning that Israel does not rule out that that the Islamic Republic will continue to try to attack Israel. Meanwhile, if Israel is looking for a military conflict spark, whether legitimate or "false flag", it may get this opportunity as soon as tomorrow, when the Palestinian terrorist group Hamas is reportedly planning a mass demonstration along Israel's border on Friday, prompting fears of a new war with the Jewish state ahead of the Passover holiday, according to regional experts and U.S. officials who say they are closely monitoring the situation. According to the Washington Free Beacon, following a recent military exercise described by observers as "unprecedented," Hamas leaders called for some 100,000 Gaza Strip resident to engage in six weeks of mass demonstrations along the Israeli border as Jewish families gear up for the Passover holiday, which begins Friday evening. Regional experts closely tracking the situation say the demonstrations are meant as cover for a mass military campaign to swarm Israel's border and stoke violence against the Jewish state. The situation is being closely monitored by Trump administration officials, who outlined concerns that Hamas could use civilian protesters as human shields as cover for attacks on Israeli forces. State Department officials told the Washington Free Beacon that they are aware of the upcoming protests and will be tracking the situation closely. "We are aware of calls by Hamas asking people to march along the Israeli border over the coming weeks," one U.S. official told the Free Beacon." We will monitor the situation and developments closely." The State Department also emphasized that it still considers Hamas a terror group and is aware of its routine use of human shields during terror operations. "Our position on Hamas has not changed," the official said. "It is a designated Foreign Terrorist Organization. Any use of human shields is absolutely unacceptable." Omri Ceren, a managing director at The Israel Project, a D.C.-based organization that works on Middle East issues, warned that Hamas is using civilian protests as cover for a massive military operation that could launch another regional war. Evidence suggests Hamas has already prepared to flood Israel with armed assets during the demonstration and has even positioned equipment such as tractors to shift the ground and erect fortifications. "Hamas is trying to trigger a Passover War and the U.N. seems eager to help them," Ceren said. "Hamas is preparing thousands of civilians to rush Israel's border, tear down the defensive fence, and provide cover as Hamas fighters flood into Israel." While Israeli military officials have planned to use as little force as possible to control any violent eruption, things could get out of hand quickly, Ceren said. "The Israelis will do everything possible to prevent escalation and avoid casualties, but this is the kind of thing that could go really bad really quickly," he explained. 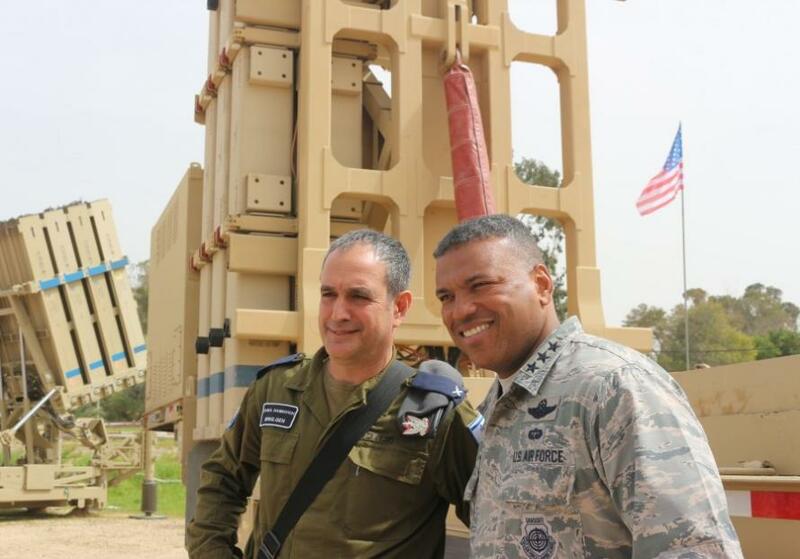 Of course, the alternative is that Israel will be delighted by, and eagerly welcome any military escalation as it will give it a greenlight to strike not only Palestine, but the country it accuses of being the biggest supporter of Hamas, Iran. In other words, there is a non-trivial probability that a war betwen Israel and Iran may break out as soon as this weekend, catalyzed by one of several potential triggers.